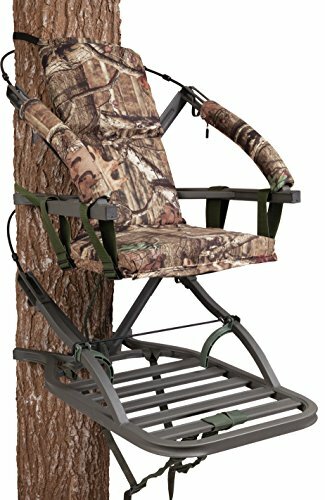 Designed to provide bow hunters with the ultimate sit and shoot treestand, the Summit Cobra SD is a solid choice for rifle or bow hunting--and for hunters who demand an ultra-portable stand. The Cobra SD features a comfortable foam-padded seat that can be raised for bow hunting and lowered for hunting with a gun. The Cobra SD is also highly portable with a frame that nests together and at a mere 18 pound, it easily packs on your back.